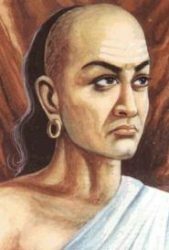 Chanakyaniti is rules to live by. 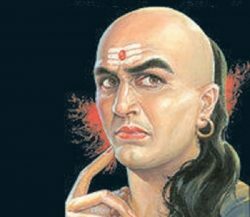 Chanakya niti outline the guideline about how to behave in different scenarios. Infatuation is the biggest disease and greed is the worst enemy of an individual. Anger is the most damaging fire and among all possessions knowledge is supreme. The test for purity of gold is performed by rubbing, heating, pounding and cutting. Similarly, the true characteristic of a person are revealed at the time of intense trouble. His manners, voice and actions will reveal a lot about him. Everyone is likely to face troubles in life and even wise men fear from them. Anyhow, a really wise man deals with trouble wholeheartedly and boldly upon its arrival. Children born from same mother and also under same stars; might differ in their characteristics. The example is a Ber tree having sweet fruits as well as painful thorns on it. Administrators are corrupt in some or other manner. The person who preens is likely to be romantic. A foolish cannot be a polite talker and a frank person faces difficulty in telling lies. Fools envy wise men, poor is with rich. In the same manner prostitutes are jealous of pious ladies. The best way to sabotage knowledge is to remain idle. Women [men as well!] looking for other man will also face destruction. Also, you cannot gain a good harvest by sowing less seeds. After execution of the commander his army becomes ineffective. Those persons will be cursed who make fun of knowledge-full people. Who disrespect the rituals stated in scriptures, and who wrongfully accuse a serene person. They will suffer for sure. Charity puts an end to poverty, knowledge to ignorance. good behaviour eliminates most of troubles, and devotion in God marks an end to all fears. For a person with absolute knowledge, heaven is of least significance. A true warrior gives a little importance to his life. For a true sage woman is of no use, and for a person with control on his desires the whole world looses its significance. Skill is like the best friend in foreign territories. A woman with good nature is truly the best friend of a man. Similarly. the medicine is a friend to a sick person and charity is in the next world. Rain over ocean, giving help to capable, and lightening a lamp in daylight are nothing but the useless acts. Rain water is purest of all and in same manner Will-power is the mightiest of all powers. Poor men desire for money. animals desire power of speech. men desire for heaven while angels desire for Nirvana. Truth keeps the earth in its place, truth is responsible for wind to blow. truth makes sun shine and It’s the primary force for existence of everything. Money comes and goes, so is the youth. Life goes and goes the soul, Nothing lasts forever. Only thing that stays firm is your faith.